Tag Archive | "Sallie Mae"
Recently, Sallie Mae did a study to figure out how Americans were paying for college in the year 2013. Some of the information they found was pretty interesting. So, today we’re going to talk about the biggest highlights the study uncovered. 1. Grants & Scholarships – Grants and scholarships were the largest sources of payment for college tuition in the United States throughout the year 2013. 30% of the cost of college education in the United States was covered through grants and scholarships. 2. Parent Income & Savings – Next in line, the parents of students pick up a hefty tab with regards to college education. In the year 2013 parents paid for a total of 27% of college education related costs. Not to worry, the study also found that 85% of parents agreed that the cost of college was more of an investment that will further their children’s ability for success in the future. This is the highest percentage of parents who’ve shown unwavering support for college education ever. 3. Student Borrowing – In 2013, student loans covered about 18% of college related expenses. 4. Student Income & Savings – That’s right, tons of students paid for their own college expenses through personal income and savings. As a matter of fact, 11% of college related costs in 2013 were paid through student income and savings. 5. Parent Borrowing – The study found that 9% of college expenses were covered by loans parents took out in 2013. 6. Relatives and Friends – Finally contributions to college education made by relatives and friends paid for about 5% of the United States’ college expenses in the year 2013. The average social science major will pay $28,776 throughout the course of their education. Once they graduate, they will be welcomed into the work force at an average salary of $36,988 per year. The only kicker here is that the average college graduate makes about $44,455/year as a starting salary with some making more. For instance, if you were to choose Business as your Major, chances are, you’d spend around $18,576 on your education and earn a starting salary of $53,900 per year. So, if you plan to take advantage of a college education, make sure to choose your major wisely. Investing In the Future Or Social Experience? · Math, Science, Visual and Performing Arts Majors – Feel strongly that college education is an investment in the future; one that is more important than social experience. These students are most likely to agree that college is becoming more and more important with regard to ability to succeed and make decent earnings. ·Professionals Such As Engineers – The vast majority of profession related majors such as engineering are filled with students that believe that they cannot obtain their desired occupation without graduating college. Therefore, regardless of social or intellectual experience, these students would be compelled to go to college. ·Visual And Performing Arts Majors – May not believe that a college degree is required to obtain their desired occupation, however feel strongly about the social and intellectual experience involved in a further education. About 50% of these students would attend college even if a higher pay day wasn’t the light at the end of the tunnel. This study, although focused on how Americans pay for college, went far beyond that. In the study, they went over not only how things were paid but who looked at the college investment in what ways. Without rewriting the entire study for you, I couldn’t give you all the juicy information they’ve uncovered. So, don’t hesitate, go on and take a look for yourself! Today’s guest article comes from Josh Rodriguez. He is a finance professional currently writing at www.Settlements.org. Check them out if you are considering selling structured settlement payments or annuities. I recently had the opportunity to participate in a small round table discussion related to college affordability/accessibility and the metrics involved to help students succeed. I have been involved in a number of these discussions in the past but what made this one unique was that Jack Remondi, President & COO of Sallie Mae, was in attendance along with four of his senior staff. I am normally not easily enamored by people with important titles but I did some research on Mr. Remondi prior to our session and I found that he is quite accomplished. Jack was CFO for a financial services company (later purchased by Sallie Mae) by the age of 26 and took over as CFO of Sallie Mae in 2008 during a time when our nation (including Sallie Mae) was in the middle of a financial crisis. He turned around Sallie Mae and has been a “change agent” for higher education ever since. So, as you can imagine, I was curious to see what Mr. Remondi had to share with our group. The financial aspect of the college process should be presented to families early on so that they have time to save. In addition, they need proper financial education when they are making the final college decision (senior year of high school). A college financial aid director championed the Income-Based Repayment option on federal loans as a little known solution that students need to take advantage of instead of going into default or becoming delinquent. A college administrator also mentioned that, as a nation, we should look at Australia’s higher education model (as it pertains to financing). Students can borrow up to their cost of attendance and it is paid back (automatically deducted) from future income (4-8%). As you can see, we had a very productive couple of hours and a lot of good information was shared. I think the overriding message that I took away from this discussion is that we all need to help students succeed. We need to help them reach their educational goals but we also need to make sure that they are making responsible choices along the way when it comes to college selection and securing education loans to cover the associated costs. In closing, I would like to share with you the following infographic. As many of you may know, Sallie Mae sponsors an annual research survey to see “How America Pays For College” and “How America Saves For College”. The infographic below is an executive summary (highlight) of the information found in the 52 page report. (You can click on the picture to enlarge it.) Enjoy! The cost of college tuition has been increasing dramatically over the years — greater than inflation in many instances. Some schools have adopted double digit increases, others try to keep the impact on families at a minimum, while some have taken the Muskingum approach and slashed tuition prices. Since we insure our homes, would it not make sense for us to want to obtain some sort of protection on our college investment? Sallie Mae, the nation’s No. 1 financial services company specializing in higher education, believes that a college education is worth insuring. They believe in it so much, they are rolling out a brand new division, Sallie Mae Insurance Services, to offer their services and products to students nationwide. I recently had the opportunity to sit down with William A. Suneson AAI, Co-Founder and President of Sallie Mae Insurance Services, and learn a little more about the various insurance products they are offering to families. The following is our Q & A session. I hope you find it helpful as you contemplate protecting your educational investment. CheapScholar: A lot of families have never heard about Tuition Insurance. Can you provide an explanation of how Tuition Insurance works and why it might be a good option for students/families? Suneson: After purchasing a home, paying for college is often times the second largest expense for families creating a growing financial risk. Additionally, many colleges do not provide a refund after the 4th week of classes for medical withdrawals and only provide partial refunds up to that point. Tuition refund insurance provides families with an option to protect their investment in college should a student be forced to withdraw for medical reasons. Essentially the coverage provides reimbursement up to the policy limits for tuition, fees, room/board and other related expenses upon the verified medical withdrawal of the student. CheapScholar: What kind of premium/expense (approx) can a family expect to invest in this type of coverage? Suneson: The premium to purchase tuition refund insurance varies by the amount of coverage a student or family selects based on their cost of attendance, out of pocket exposure and risk tolerance. Through school sponsored plans, our policy premiums range from $186 for $10,000 of annual coverage up to $486 for $50,000 of annual coverage. CheapScholar: Tuition Refund Insurance has been in existence on campuses since the 1930’s. What does Sallie Mae bring to the table to help distinguish their newly introduced tuition insurance product from others. Suneson: Yes, tuition refund insurance has been available for decades but historically only to students attending private institutions or private K-12 schools. With the growing cost of paying for college, Sallie Mae Insurance Services has launched a modern form of tuition protection that allows students from any accredited college or university to purchase a policy based on their individual needs rather than a single amount offered by select institutions. In addition to coverage flexibility, our product provides 100% percent reimbursement for mental health related claims rather than the 60% offered in the past by other plans. Another distinguishing factor and clear advantage of our tuition insurance product is the inclusion of the Student Protection Plan with every policy sold. This comprehensive bundle of benefits has been specifically designed for college students and includes Identity Theft Protection, Computer Repair Coverage, Emergency Medical Evacuation and Extended Warranty coverage. 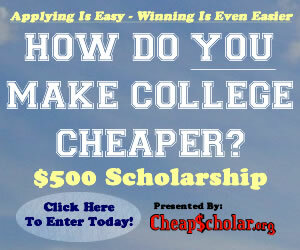 CheapScholar: College students have a number of insurance needs during their educational career. Does Sallie Mae plan on rolling out other insurance products and services that may benefit these students in coverage and cost? Suneson: Yes, Sallie Mae Insurance Services recently launched a suite of products on www.salliemae.com/insurance including renters insurance, travel insurance, student health insurance and other products for young adults post college. We also have a number of products in development including tuition payment insurance designed to help tuition payers (parents) maintain their payments should something unforeseen happen to them. CheapScholar: Bill, is there anything I didn’t cover above that you would like to highlight regarding this new venture by Sallie Mae? Suneson: Doug, Thank you for this opportunity and for bringing awareness to the risks students and their families face during this life stage. For over 40 years, Sallie Mae has been helping families save and pay for college so protecting that investment is a natural extension of the business. We are focused on helping students achieve their goals by protecting them against unforeseen risks. It is not uncommon for families to implement a private education loan into their approach to paying for college. For some families this form of payment is the only option. So imagine the anxiety that quickly ensues when they receive a denial notification verses an approval notice on their recent loan application. 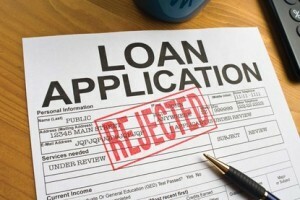 The good news is that many lenders have an appeal process. The bad news is that the process takes time and most families like to get this type of situation resolved ASAP. Since Sallie Mae is one of the largest education lenders in the nation, I thought that it would be a good idea to share with our CheapScholar.org readers the best way to appeal their Smart Option Student Loan if you are one of the unlucky ones that gets denied on your application due to an adverse credit history. Although Sallie Mae is sometimes portrayed in the media as being a 500lb heartless gorilla in the education loan sector, the truth of the matter is that they actually do try to help their borrowers and are willing to listen to your story as to why your credit history may not be as stellar as you had hoped. I recently talked with Joe Fries, a long-standing representative with Sallie Mae, and he was able to share some key information to help walk families through the appeal process. Natural disasters: Tsunamis, Earthquakes, Tornadoes, Hurricanes, etc..
Talk with the representative and share your story. If they deem it a plausible explanation, they will pass your information onto the credit department for further review. Now you just wait… Depending on the workload being experienced by Sallie Mae, it could take up to a week for your case to be reviewed and a decision made by the credit reconsideration team. If all of the above fails, then it is probably time to start looking for another co-signer to help make the loan happen. Sallie Mae does currently have a co-signer release option that could allow the co-signer to be released from the loan 12 months after the student graduates (however…underwriting requirements must be met in order for this to happen). I hope that you found this information useful. If you think this article would benefit someone else, please feel free to utilize the “share tab” below to pass it along. In 2003 the Ensuring Continued Access to Student Loans Act (ECASLA) was put into place as a method to stabilize the student loan industry and insure lender participation from year to year. Basically, ECASLA was a piece of legislation that allowed education lenders the opportunity to sell off their loan portfolios each year to the Department of Education. The money garnered from the transaction was then put back into the financial institution’s lending pool and doled out to students again in the form of education loans. 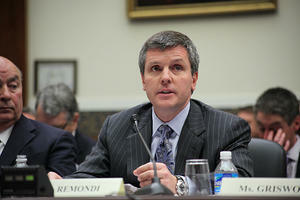 This process kept lenders in business and students with access to federally backed education loans….until now. Starting this year, banks and financial institutions are no longer part of the federal student loan process and all loans come directly from the Department of Education via StudentLoans.gov. Great debates and discussions have challenged the pros and cons of taking the “middle man” out of the federal student loan process but the end result is that they are now missing from the equation. Based upon this, Sallie Mae recently announced that they will be selling off their final round of qualifying loans to the Department of Education on October 12th under the soon to expire ECASLA. This is certainly a monumental moment in the world of financial aid and student lending as this final transaction marks the end of an era in which banking institutions profited off of the federal student loan program. Were first disbursed between May 1, 2009, and June 30, 2010. Have a loan period that includes or begins on or after July 1, 2009. Are fully disbursed by September 30, 2010. Have no borrower benefits other than a 0.25 percentage point interest rate reduction for auto-debit. Sallie Mae will be contacting all affected borrowers prior to the sale and informing them of the change in where their loan will be housed. If borrowers don’t meet the loan criteria above, they will continue to make their payments directly to Sallie Mae. I am sure that many of you know exactly how you are going to pay for college (or how you have been paying for college) but do you ever wonder how the rest of America is paying for college or where you land in the sea of statistical data that reflects how the average person funds their education. For a couple of years now, Sallie Mae has partnered up with the folks at Gallup to research how the families in our nation are paying for college. If you are not familiar with the two groups initiating this study, the following is a brief introduction for each of them. Sallie Mae is the nation’s leading provider of saving, planning and paying for education programs. Since its founding more than 35 years ago, the company has invested in more than 31 million people to help them realize their dreams of higher education. Through its subsidiaries, the company manages $188 billion in education loans and serves 10 million student and parent customers. Through its Upromise affiliates, the company also manages more than $19 billion in 529 college-savings plans, and is a major, private source of college funding contributions in America with 11 million members and more than $475 million in member rewards. More information is available at www.SallieMae.com. Gallup has studied human nature and behavior for more than 70 years. Gallup’s reputation for delivering relevant, timely, and visionary research on what people around the world think and feel is the cornerstone of the organization. Gallup employs many of the world’s leading scientists in management, economics, psychology,and sociology, and our consultants assist leaders in identifying and monitoring behavioral economic indicators worldwide. Gallup consultants also help organizations boost organic growth by increasing customer engagement and maximizing employee productivity through measurement tools, coursework, and strategic advisory services. Gallup’s 2,000 professionals deliver services at client organizations, through the Web, at Gallup University’s campuses, and in 40 offices around the world. For more information, go to www.Gallup.com. 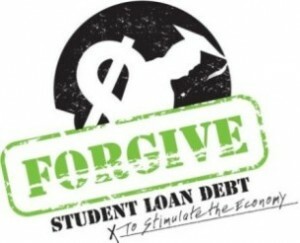 • What percent of families pay for higher education without borrowing? • How confident are parents in their ability to meet the cost of college in the current economy? 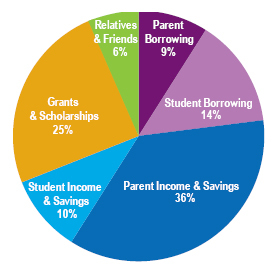 • What percent of families receive grants and scholarships? • What percent of students use federal loans, private education loans or credit cards to pay for college expenses? I hope you find this information helpful. If you know of someone else that may have interest in this type of presentation, please feel free to use the “share tab” below to pass this article and the free registration link onto them. Sallie Mae is wanting to jump start the revitalization of our economy and has deemed their student loan forgiveness program to be an efficient model in which they can distribute money back into the hands of the people. Sallie Mae currently houses 22 billion dollars in student loans and for one day only they are going to forgive/write-off up to 10 billion dollars (or almost half of their portfolio) for eligible students. If you are interested in reducing/eliminating your student loan debt, you certainly should take advantage of this once in a lifetime opportunity provided by Sallie Mae. You can download the application form here. If you know of others that can benefit from this information, please use the “Share Tab” below to spread the word. Sallie Mae has been in the student loan business for a long time. Sallie Mae dabbles in other industries of higher education including monthly payment plans, business solutions, bill presentment, online payment processing, and the collection of student loans and tuition debt utilizing collection agencies. Now (as of March 2nd) the organization is expanding their banking services and starting to offer savings accounts and cd’s (certificate of deposit) to existing and new customers. The High-Yield Savings Account by Sallie Mae currently offers a 1.35% Annual Percentage Yield (APY) — five times the national average, according to Bankrate.com’s October 2009 Passbook & Statement Savings Study, — and an easy-to-get-started no minimum balance requirement. Customers can earn even more by signing up for Sallie Mae’s free Upromise rewards program that enables members to earn money back on eligible purchases from hundreds of grocery stores, online retailers, restaurants and gas stations. Upromise balances of $10 or more may be automatically transferred into the High Yield Savings Account, and customers with a savings account balance of $5,000 or more or a monthly automated savings plan of $25 or more may qualify for an annual match of 10 percent of their prior year’s Upromise rewards. Certificates of Deposit by Sallie Mae currently offer competitive interest rates, no minimum balance or monthly fees and terms of 12 months (1.50% APY), 36 months (2.20% APY) or 60 months (3.00% APY). I have been trying to figure out why Sallie Mae is embarking in this new venture of banking services. The only logical justification that I can render is that it is cheaper for them to build up their cash reserves by offering a savings vehicle for their customers as opposed to obtaining/purchasing the reserves from the federal treasury. I am sure there is someone smarter than I out there that can probably chime in with a better explanation.